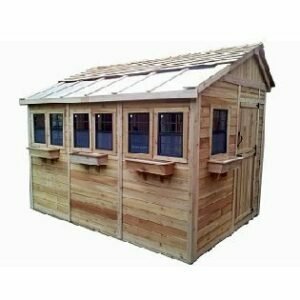 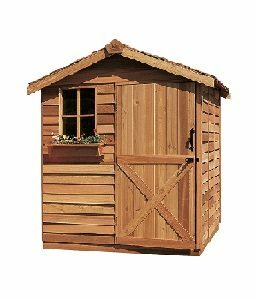 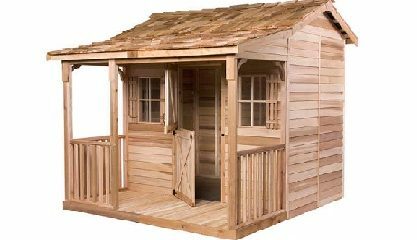 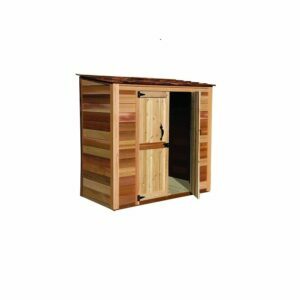 It’s is a big kids playhouse – The Cedarshed BunkHouse Kit makes the perfect small cabin cottage or place for your you and kids to play video games and hang out with friends. 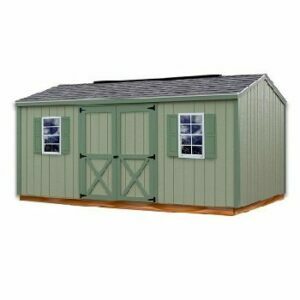 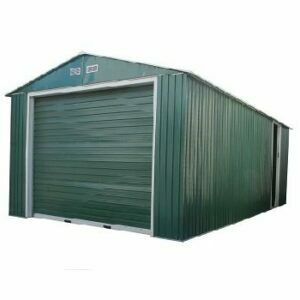 Cedarshed’s line of prefab BunkHouse Kits consist of small storage sheds with standardized wood walls and door panels that allow for ease of installation and customization of window and door placements. 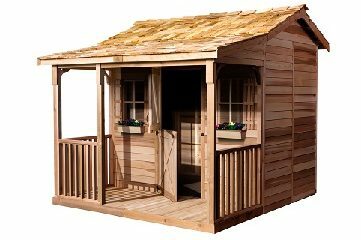 Relax, read a book, or just enjoy the fresh air on the BunkHouse ridge porch.